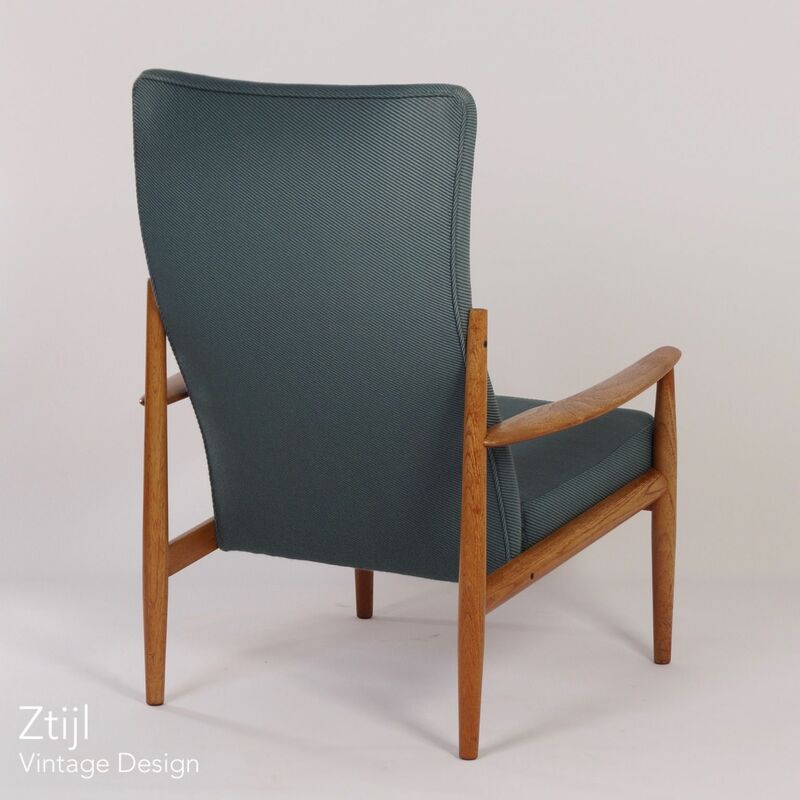 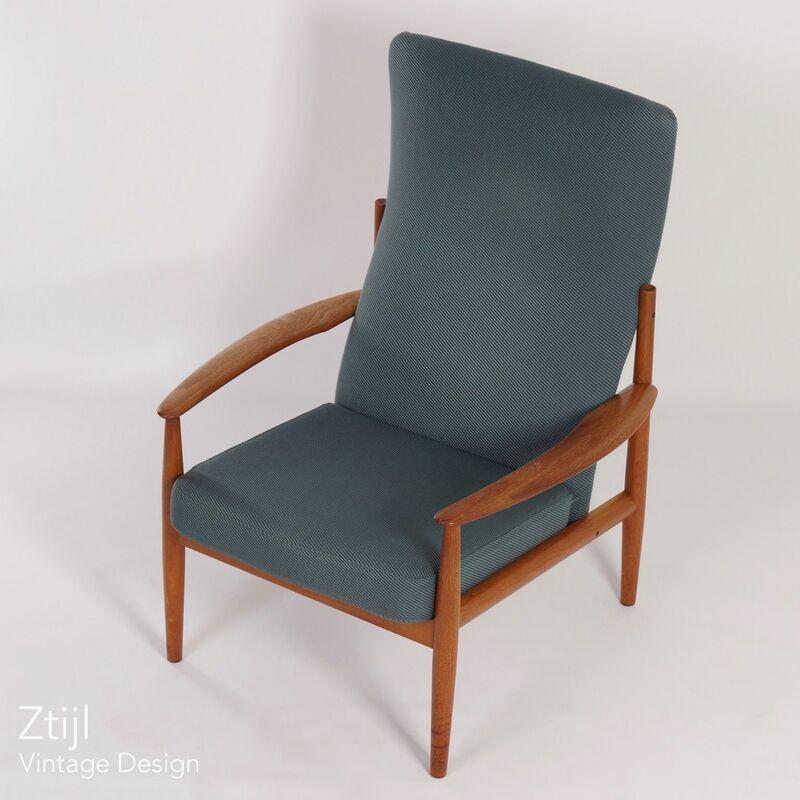 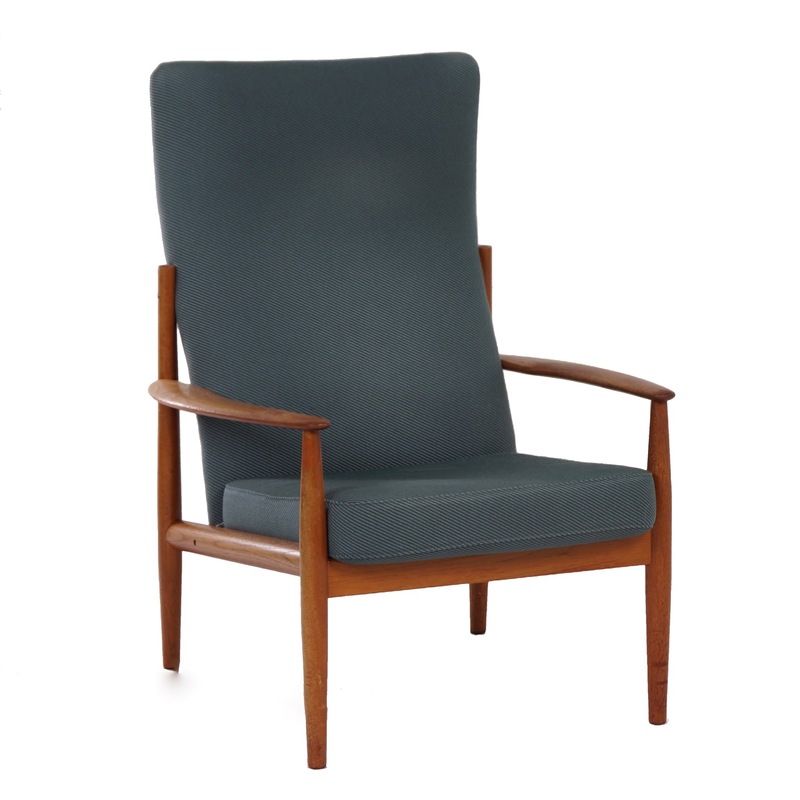 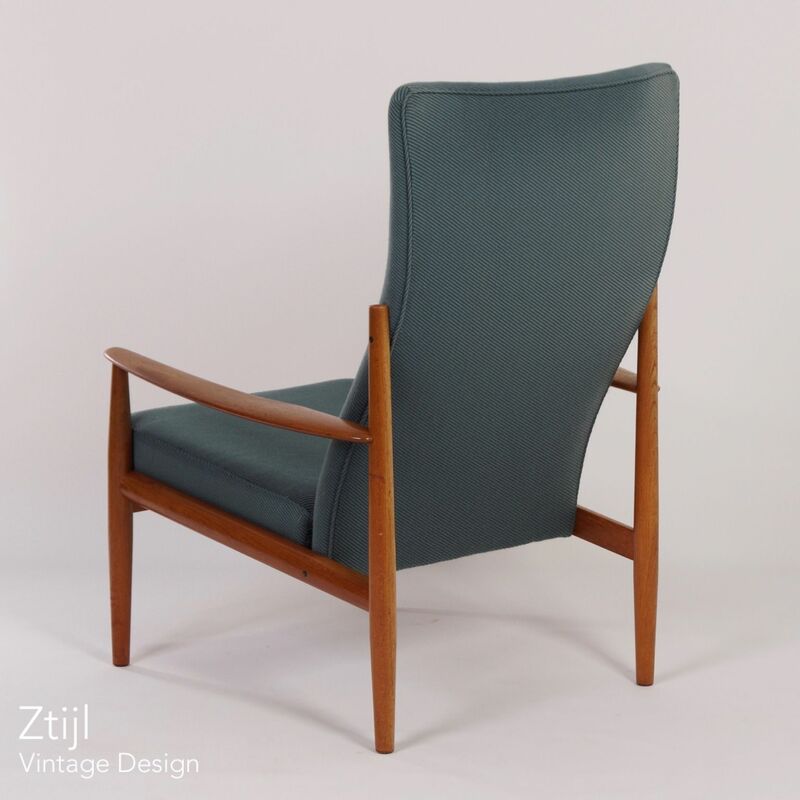 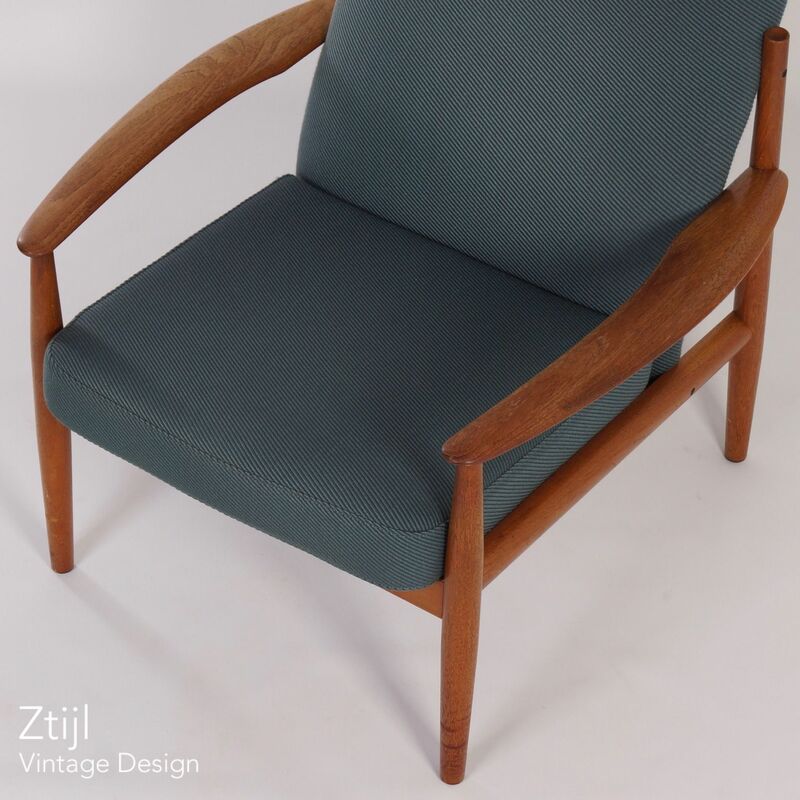 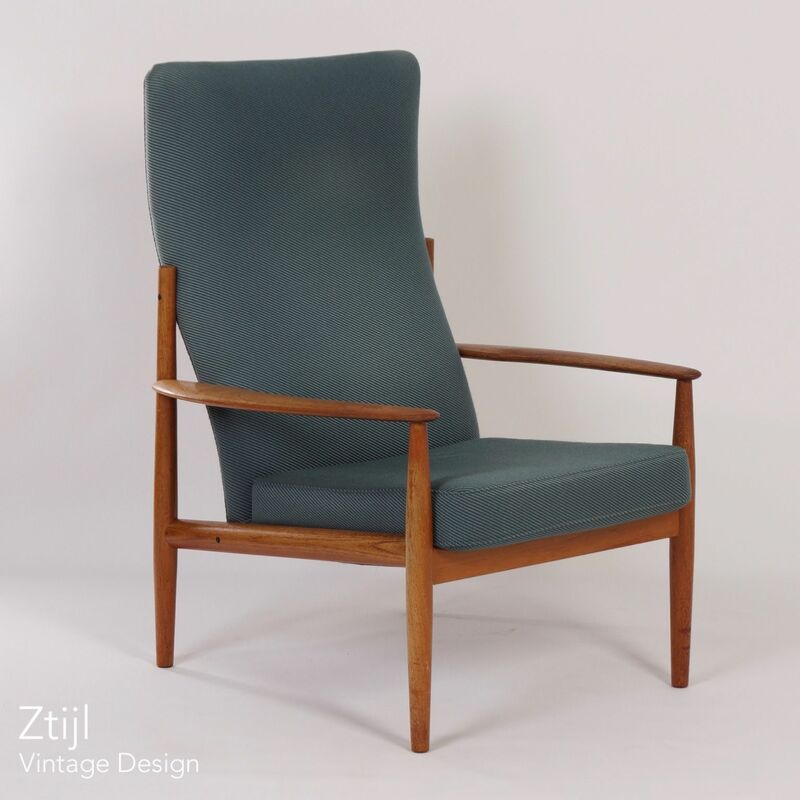 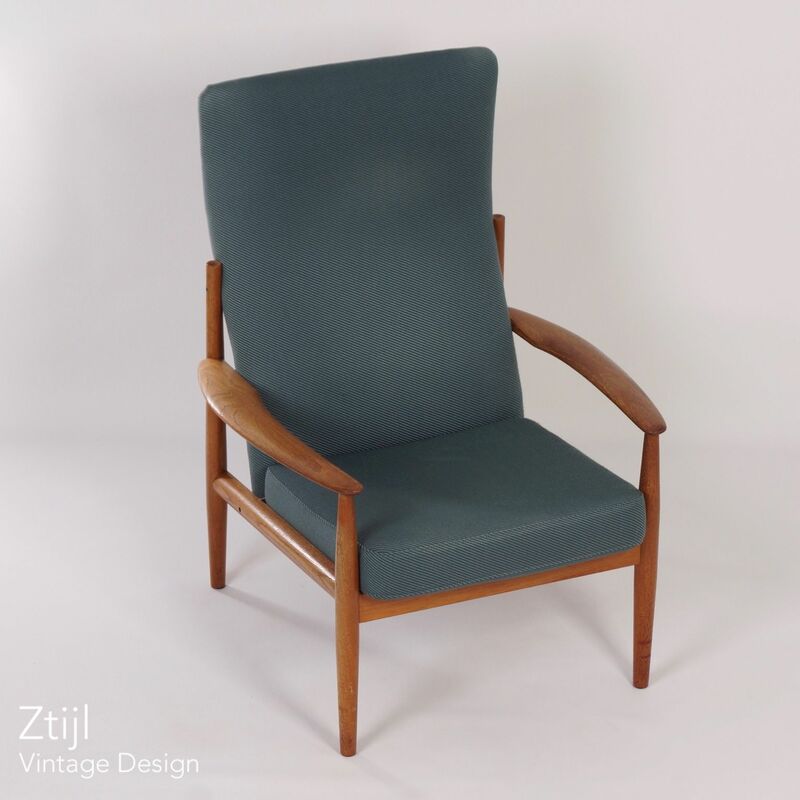 Danish armchair designed by Grete Jalk for France & Son in the sixties. 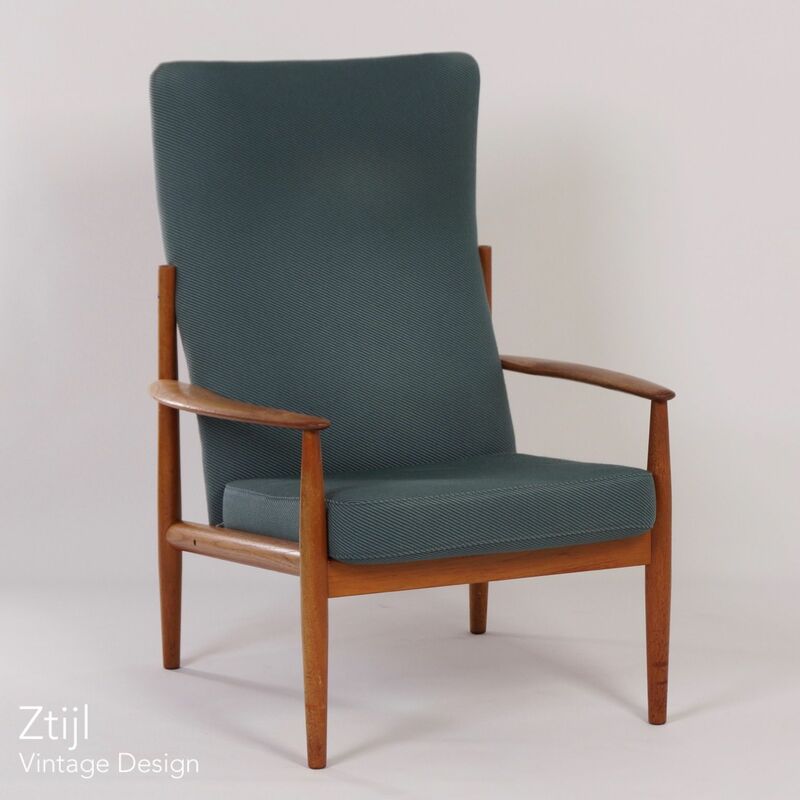 This high-backed armchair has recently been re-upholstered with green fabric. 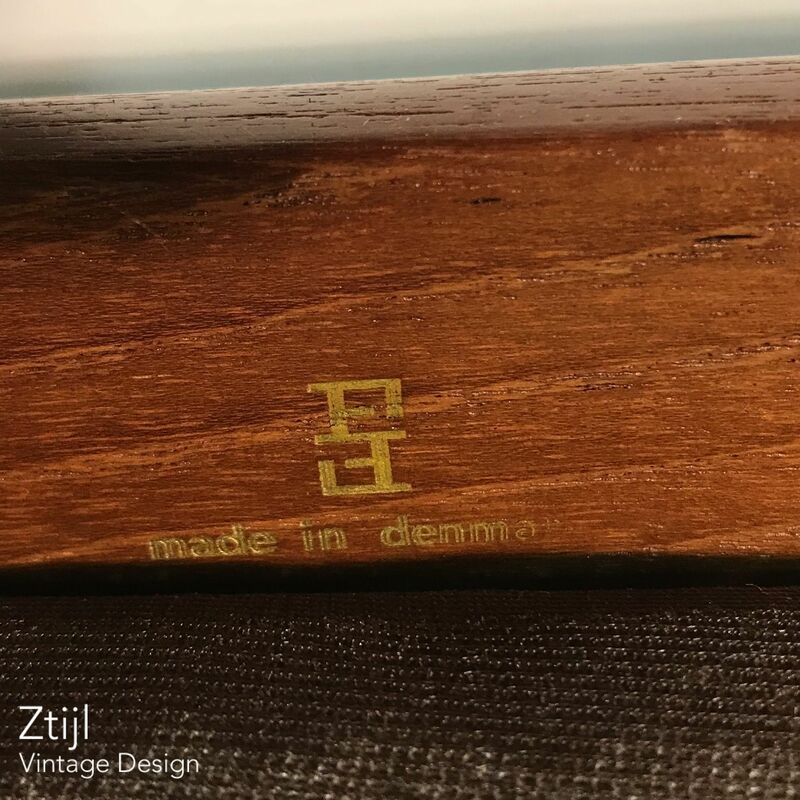 The frame is made of solid teak. 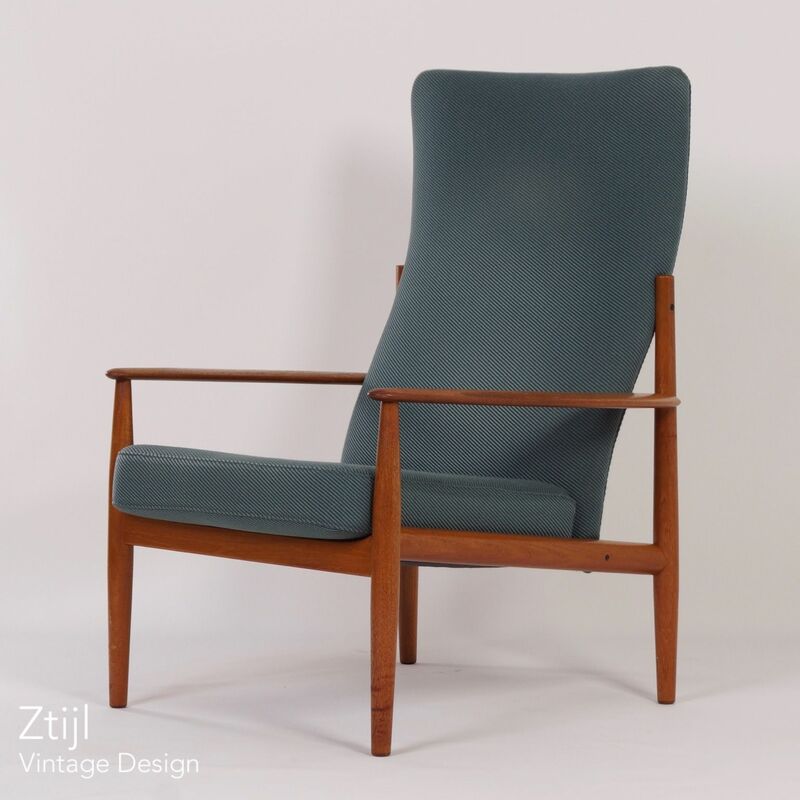 Marked (stamped): (with France & Son logo) FF made in Denmark (see photos). 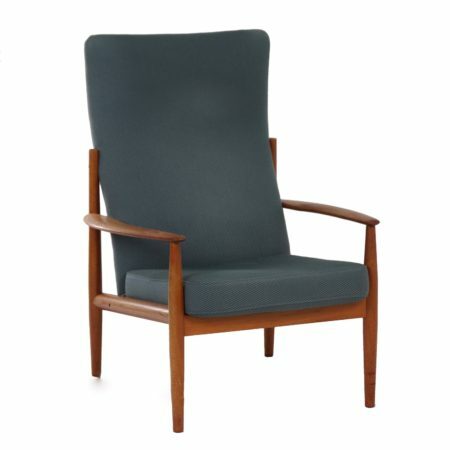 Dimensions: h x w x d = 106 x 78 x 80 cm. 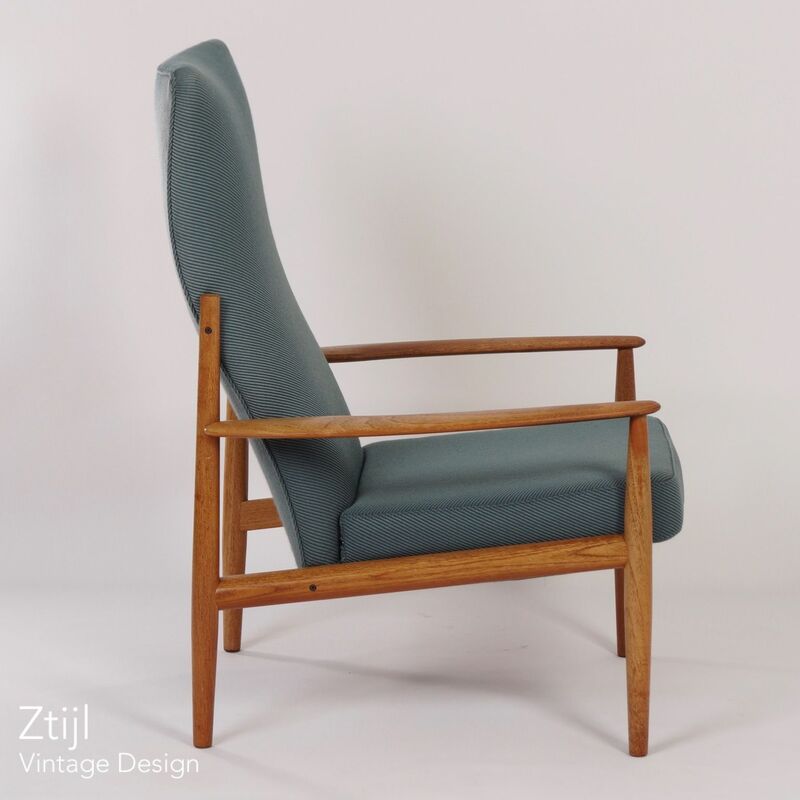 The seat height is 44 cm.